No parent would disrespect her child on purpose, but sometimes we do so without knowing. Check out these three ways we unintentionally disrespect kids — and what to do instead. Would you say you disrespect your kids? If you’re like me, you would assume no, of course not. I love my kids and would never disrespect them. I wouldn’t want others to do so, much less me. Except sometimes we disrespect our kids without even knowing it. We mean well and may not see how our words and actions affect them. We overlook the repercussions of our actions, thinking all is fun and jest when really it’s not. Or we just didn’t know any better. “Don’t say ‘he’!” my preschooler told me and my husband. We had no idea what he was talking about. “Who’s ‘he’?” I asked. But as just as I said it, I realized we’d been talking about him right in front of his face. Not only that, we were leaving him out of the conversation. I already forgot what we’d been discussing. Probably an innocent conversation about what he ate that day. Whether he had pooped, or the activities he’d done. Still, he noticed that not only was he excluded from the conversation, but he was the subject of one. It’s easy to discuss kids in front of them as if they weren’t there, referring to them in the third person. From proud to funny moments, parents want and need to discuss these details with each other. But talking about him as if he wasn’t there must be frustrating for him. Especially since he’s now aware he’s the subject of conversation. Or, better yet, my husband and I wait until they’re in bed before we review the day. 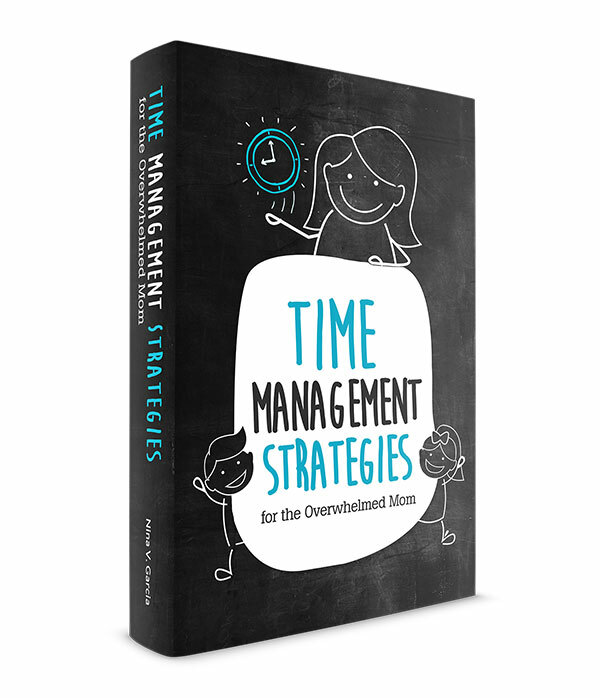 We avoid talking about our kids as if they weren’t there, and we can discuss freely. My son and I were coming home when we saw our building manager down the hall. My kiddo then reminded me that our manager had fixed our toilet because it was broken. So when we finally greeted our manager, I addressed my son, “What did you say again about Harold?” hoping he’d repeat himself in front of our manager. Instead, he just smiled a sheepish smile, clung onto me and kept his mouth shut, embarrassed. We assume anything our kids say, especially if they’re cute or hilarious, is open for sharing. I can’t imagine doing that to another adult, but we do this time and again to our kids. We share the funny way they garbled their grammar or how your child had confided his fears of the dark. Or assume anything they say is share-worthy, regardless of how they feel. My son didn’t intend his comment to reach any other person’s ears but mine. His comment may have been cute, but to him it was just a statement he didn’t want shared. Especially as a cute little novelty to show off. Communicating discreetly with others isn’t always the easiest thing to do. I can’t tell you how many times we’ve referred to our kids’ loveys as “L” when we couldn’t find them. All because saying the whole word would incite emotions we’d rather not deal with. Or spelled M-I-L-K knowing full well they have no idea what we’re talking about. My intentions were innocent. I don’t want my kids reacting when they realize we’re washing their loveys in the laundry. I also want to discuss with my husband whether we should offer milk tonight without the kids finding out. Still, I realized it can be condescending. We should and can be discreet given certain topics, but that’s the thing: we should be discreet about it. Spelling in front of our kids isn’t cutting it, and your kids will realize that sooner than later. No way are these incidents the worst offenses to children. especially since we don’t even know we’re disrespecting them. But when you think about whether we would do the same to adults, the idea is comical. We forget they have emotions and notice the subtleties in our words. I can’t say I have a perfect record with these offenses even after all these years, but I do my best. I try to be discreet when hiding information. And I honor our private conversations and don’t share them like they’re novelties. And I remember my kids should be part of the conversation, not the third-person subject of one. 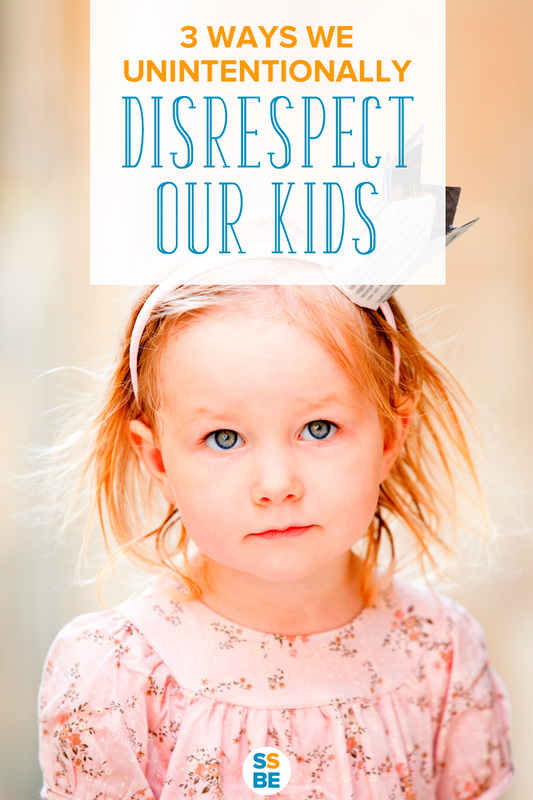 Tell me in the comments: In what ways might you unintentionally disrespect kids without intending to? I like these tips and I’m glad you are reminding us about this. I always tell my grandparents and caretakers to not lie to my boys or make promises we can’t keep. I find it very disrespectful to them when people think they “can’t handle the truth”. Sure they can. Let’s explain things as thoroughly and as simply as we can. I must admit I’ve never thought about negative effects of spelling in front of the kids. It’s hard to avoid. We sometimes resort to Spanish, though now, because our oldest can decipher our spelling. Hopefully that’s less disrespectful. Each ‘next child’ has caught on earlier about the spelling thing. So, we pretty much had to drop that. They simply felt left out, understandably. Kerry I think that’s a great way to put it; the kid feels left out, and it doesn’t take much for them to realize that their parents are trying to communicate without including them in. It’s not so much the spelling itself—it can be whispering, signing, etc.—but I can sense when my kid doesn’t appreciate being left out. I had never thought of the speaking in the presence of my son of him in the third person as being disrespectful, and Eli has never reacted, but the way you present it I’d have to agree that it is. I will have to make a conscious effort to change this habit. I think your litmus test of “would I do the same thing to an adult” is a great one. The spelling or using another language thing is stickier, but I can see your point. We don’t speak around third-party adults in a way that we know will be over their heads as that would be very disrespectful, but it’s easier to find a moment to have a discreet private conversation out of earshot in those cases where it is necessary to not have everything overheard. Usually our kids are with us or in close proximity almost all the time, and the frequency of needing to have such conversations as we negotiate family life is much greater. I will keep this idea in mind and try to see if there are other ways than talking above my child’s head to communicate with my husband without triggering a lot of unnecessary meltdowns. I totally know what you mean, Karen. Sometimes there’s just so much to discuss with so little time. If it’s pretty sensitive then I’ll wait til another time or when my kid is out of earshot to mention anything. My parents really emphasized treating toddlers, preschoolers, and even babies as little people, and I’ve tried to do the same with my own kids. That’s not to say I don’t make mistakes! My son has what my hubs refers to as “bat hearing” and he listens catefully which makes sharing information with my husband really difficult. Since his a drill instructor for the Air Force he’s gone from 4 AM until 6 or 7 just about every day. My son starts bath and bed routine at 7:30. Doesn’t leave much time for sharing but I try not to talk about C as if he’s not there. Usually I say,” tell Daddy how well you did with dinner.” Or, “Can you tell Daddy where we went today?” I have spelled a couple things when needed to avoid a melt down or to avoid a promise that may not be kept. ( I try not to promise Sea World or the Zoo in case the weather turns on us or should we just be having a bad day and need to alter the plan.) it is tough though. Recently I’ve taken to sending my husband messages from the iPad to his iPhone so I can tell him things both so I remember and so I don’t have to have mommy/daddy conversations with C in the room. I’m more aware of it than my husband but I spend way more time with C and know exactly how much he understands. Sometimes I think my husband thinks of him as a baby and not a preschooler. Another great post! Love reading your stuff! I do pretty much the same as you when I want to share something my little guy did without completely leaving him out: “Tell Daddy how you did that and that,” or “Can I tell Daddy how you did this and that?” At least he’s involved in the convo. It’s definitely a transition and something to get used to; when they’re babies it’s easy enough to talk about them without them realizing it, but the more cognizant they grow of their world and the wider their vocabulary and social skills, they more they get that they’re the subject at hand. I am guilty of this too and has been trying to be more conscious as to not unintentionally disrespect my toddlers. Yes, and I’ve been enjoying your blog! My big J hasn’t started preschool yet but he will next year so I’m glad to know that your lil’ guys is adjusting well. Hopefully mine won’t have a problem adjusting either.